According one poll published by Kan News on Thursday, April 4, the Likud would be the largest party in the 21st Knesset with 31 seats if the elections were held on the same day that the survey was conducted. The Blue and White party would come in second place with 30 seats, and Hadash-Ta’al and the Labor Party would tie for third place, winning eight Knesset seats each. Another poll conducted by the Midgam institute in cooperation with iPanel run by Dr. Mina Tzemach and Mano Geva released on Thursday showed that if the elections were held at the time of the survey, Benny Gantz’s Blue and White Party would win 30 parliamentary seats while the Likud led by Prime Minister Benjamin Netanyahu would place second with 26 Knesset members. The Labor party would come in third with 10 seats and the Hadash-Ta’al and United Torah Judaism lists would garner seven seats each. The Tzemach-Mano Geva poll gathered the responses from a sample of 1,202 persons comprising a representative sample of the total population in Israel aged 18 and over. The conductors of this latter survey said it took into account a possible margin of error of 2.8%. Yet, a third poll published by Haaretz on Friday and conducted by pollster Camille Fuchs revealed that if the elections had been held on the day of the survey, the Likud would have defeated the Blue and White party by three Knesset seats, 30 mandates going to the current governing coalition leader and 27 to the Blue and White party, its main challenger. 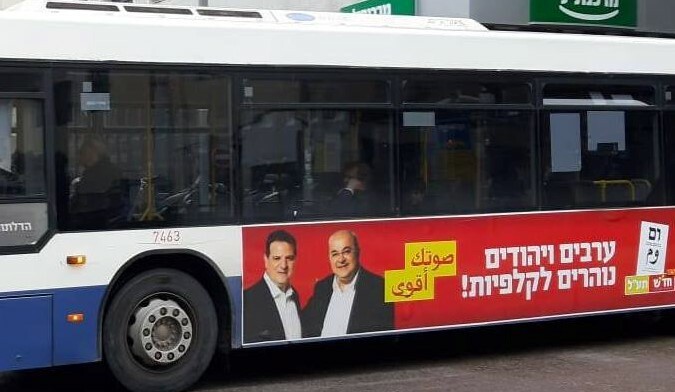 This third poll also showed that the Labor party would receive ten Knesset seats while Hadash-Ta’al and the racist United Right lists would each win seven seats in the next Knesset.